File Photo of Rohingya refugees. A new UN study has revealed that over 90 per cent of the recent Rohingya refugee arrivals in Bangladesh are under-nourished despite receiving emergency food assistance. The World Food Programme (WFP) Rohingya Emergency Vulnerability Assessment and food security sector partners study in November and December 2017 raised concerns over limited access to a well diversified and balanced diet, deputy UN spokesman Farhan Haq announced on Friday. As a result, he said, the WFP will scale up its e-voucher programmes in 2018 to reach new arrivals in Cox’s Bazar district, reports Xinhua news agency. Some 90,000 people are enrolled in WFP’s e-voucher programmes where they receive a monthly amount on a pre-paid debit card which can be used in allocated shops to buy 19 different foods, including rice, lentils, fresh vegetables, eggs and dry fish, Haq said. The e-programmes contrast with WFP’s food distribution program for new arrivals which include rice, vegetable oil and lentils. It’s an emergency ration designed to provide basic calories, but lacking in dietary diversity, the spokesman said. The study also recommends the scaling up of a livelihood support programme within host communities prioritising especially women who have no income, he said, adding that the WFP is providing food and food vouchers to more than 700,000 refugees. More than 650,000 Rohingyas have fled Myanmar for Bangladesh since August 25, 2017, when rebel Rohingya militia launched deadly attacks against security forces in Myanmar’s Rakhine state. The action allegedly triggered retaliation attacks by Myanmar vigilantes and government troops, forcing Rohingyas to flee into Bangladesh. 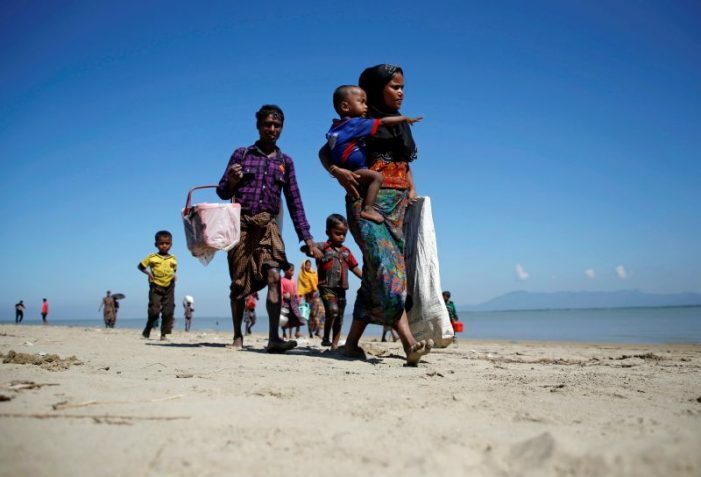 There already were about 300,000 Rohingyas who had fled earlier into the neighbouring country.